Our phlebotomists are the lifeblood of our organization. Every day they have pride knowing that the care they provide and the donations they collect ultimately save lives. 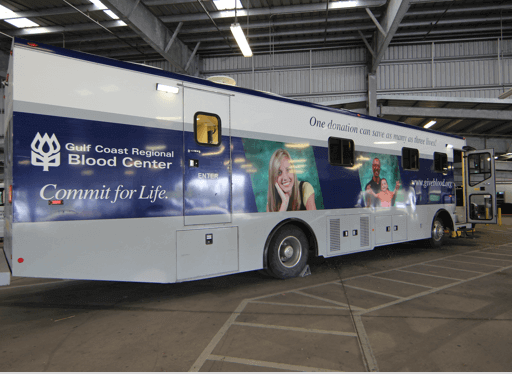 Gulf Coast Regional Blood Center is a 24/7, 365 day operation. At the core of that operation is our dedicated and committed phlebotomists. Working in one of our Neighborhood Donor Centers or a mobile blood drive environment, our phlebotomists collect blood donations and provide care to each of our donors. Their care and concern for our donors and their pride in what they do are what ensures that we can meet the demands for blood donations in our community. Our Phlebotomists aren’t just collecting blood, they are saving lives. Work throughout our community, bringing the donation center to our donors. Our mobile locations may be at a school, church, nearby office or wherever our donors take us! Although we’re mobile, our phlebotomists still have all of the tools and resources to be successful in this environment. Our mobile locations give you the opportunity to experience something different every day. The location may change, but the mission is always the same. Work in one of our 16 Neighborhood Donor Centers spanning the Houston Metro, East Texas and Brazos Valley areas. Our state-of-the-art facilities are well known in the community and offer our donors a comfortable, easy way to give blood. As a phlebotomist at Gulf Coast Regional Blood Center, you’ll have ample opportunities for development opportunities. Starting day one, we offer paid training to ensure you have the guidance and support to excel in your role. 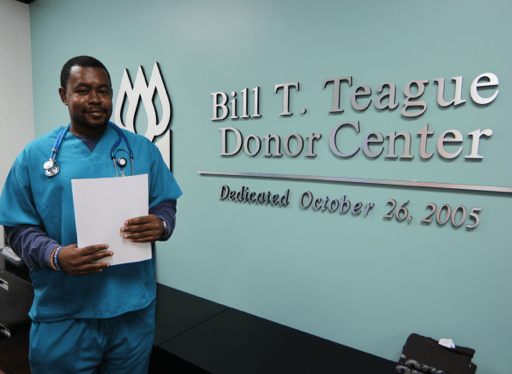 Once you are settled in your role, you’ll continue to have development opportunities so you can grow your career at Gulf Coast Regional Blood Center. Online learning opportunities and on-the-job training opportunities are just a few of the ways for you to develop. We’ll even partner with you to get your American Society for Clinical Pathology (ASCP) certification.